Use all your potential by avoiding data silos and networking customers, products, people and processes. 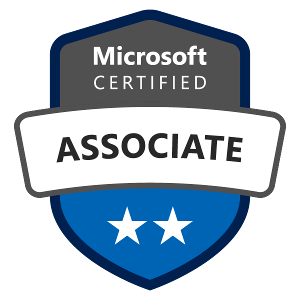 With the new role-based Microsoft certifications, you can prove that you are keeping pace with future-oriented technical roles and requirements. Expand your knowledge, demonstrate your expertise to employers and colleagues, and gain the recognition and opportunities you deserve. Implement solutions that plan customer relationships, manage deals, and accelerate sales team performance through data analysis. For the Functional Consultant Sales certification you have to pass the MB-200: Dynamics 365 Customer Engagement Core and the MB-210: Dynamics 365 for Sales exam. We offer you the opportunity to prepare optimally for the exam either in our classroom trainings, e-learnings or by any hybrid-learning combination. Develop Customer Experience (CX) solutions that are fast, agile, flexible and use AI to gain insight and predict customer needs. For the Functional Consultant Customer Service certification you must pass the MB-200: Dynamics 365 Customer Engagement Core and the MB-230: Dynamics 365 for Customer Service exam. We offer you the opportunity to prepare optimally for the exam either in our classroom training courses, e-learning courses or through any hybrid learning combination. We prepare you optimally for the new role-based Business Apps certifications. You can choose between different learning options. Do you have questions about the new Microsoft Business Apps certifications? For further information please do not hesitate to contact us under (507) 294-4841 or by e-mail at info@flane.co.cr.